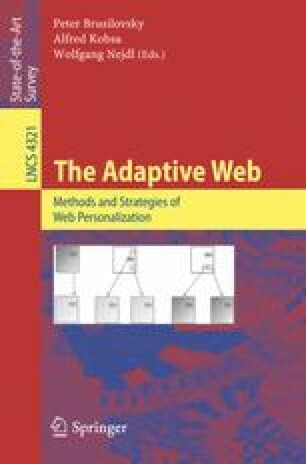 Adaptive web sites may offer automated recommendations generated through any number of well-studied techniques including collaborative, content-based and knowledge-based recommendation. Each of these techniques has its own strengths and weaknesses. In search of better performance, researchers have combined recommendation techniques to build hybrid recommender systems. This chapter surveys the space of two-part hybrid recommender systems, comparing four different recommendation techniques and seven different hybridization strategies. Implementations of 41 hybrids including some novel combinations are examined and compared. The study finds that cascade and augmented hybrids work well, especially when combining two components of differing strengths.